I was able to watch a short documentary on the DREAM act and see the situations that Alejandra, the undocumented student in the documentary, had to go through and continues to struggle with because of her legal status. This film hit me personally as a Latino in the United States. And I personally know people that have had and have the same obstacles as Alejandra. I consider myself very fortunate because I have been presented with all the opportunities and rights this country has to offer because I was born here in the US. However, for millions of people that should have the equal treatment as human beings, they cannot live a life without fear of deportation and being separated from their families. This film I think is very insightful into the world of the “DREAMers” and how this act will bring so many positive things to the lives for these students. I am a first generation college student in my family and even with all the rights I from this country it was difficult for me to know how to get into college and let alone pay for it. Simple things such as being able to work legally to make a little money during school, or having a license to be able to drive, or being able to open a bank account have helped me tremendously during my education. These simple things perhaps are taken for granted by most citizens and these simple things are items that undocumented students could possibly never have in their life if something is not done to help them. Thinking about our own lives and placing ourselves in the shoes of an undocumented, would it be possible for you to function in the US if you could not have these simple privileges? Tuition Equity Bill Passed in Oregon! 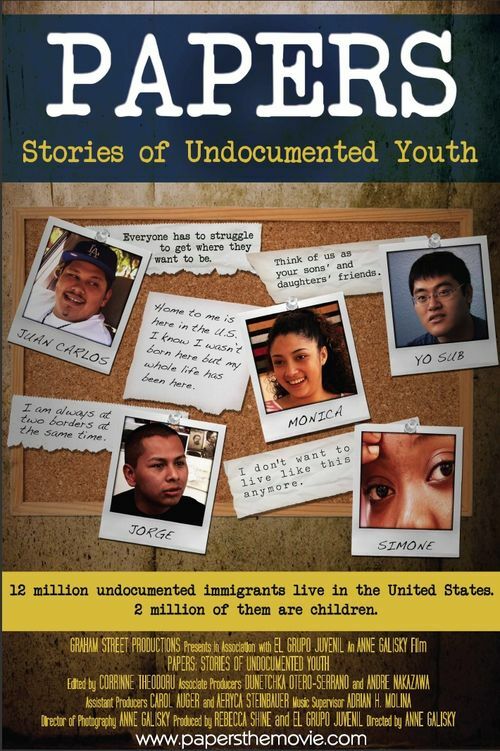 Free Screening of Papers Documentary on Undocumented Youth in Oregon: Thursday, 02/21! Check out information here to learn more about the experiences of undocumented youth in Oregon…the Oregon legislature is moving toward (hopefully) passing a tuition equity measure…be in on the conversation!